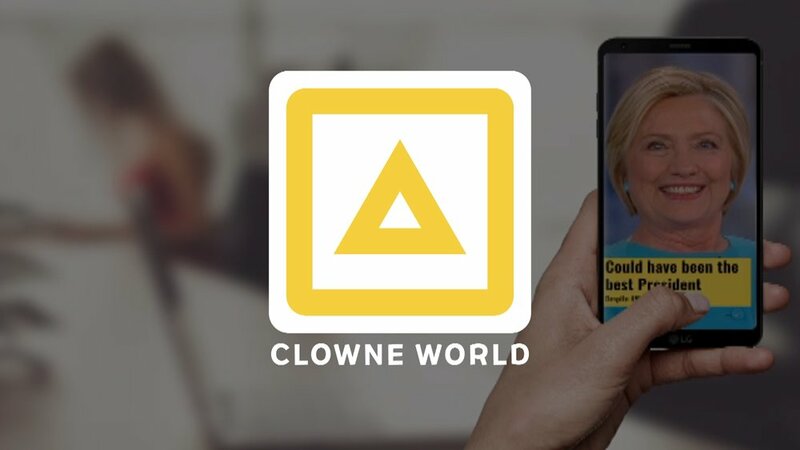 CLOWNE WORLD is a revolutionary app that puts you all that consumer goodness into your face from your smartphone. Scroll infinitely for more influencer sponsored content, mainstream media news and consumer-friendly goodies that you can just glare and understand directly without questioning. Funded and manufactured by CLOWNEW SACHSBERG LLC, run by CEO of All Above Schlomo Sachsberg, this app is the #1 in all of millennial content ever seen on Android phones and app stores. Literally, 8 years of amazing online content right into your eyes. Just right in the palm of your hand, you have the most positive, LGBT-friendly, democratic and social aware content possible. From a numerous array of partnered content providers such as FNN, MANHATTAN ICE, Goldbergstein, New World Times and GIRL SUPLEX, you can get on date with the latest of trends, news, content and products possible. All work-safe and environment friendly. We just didn’t make that latter up! Support our Indiegogo campaign now!